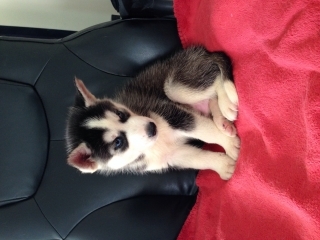 Frosty is a very playful and sweet Husky puppy with electric blue eyes. He was born on 6/1/14 in blue springs, MO. He is crate trained and he can do sit command. Wish I can find the perfect loving home for him. All of his toys, treats, and crate will come with him. Please feel free to ask any questions. Thanks.